Beautiful and affirming pictures of black women graduating are all the rage on social media right now. Credit: Instagram/knaomin & Instagram/nomzamo_m. All over social media and on news sites, there's a swell of images celebrating black women being capped or having received their degrees. This is why it is so significant. Beyond #BlackGirlMagic, there’s a sense of community where black women are holding each other up. 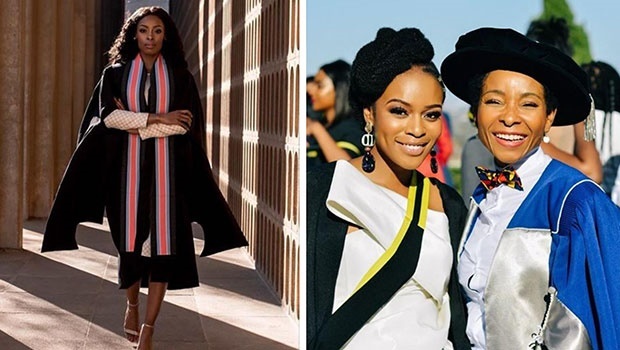 Actress and television personality, Nomzamo Mbatha who recently graduated with a BCom Accounting degree at the University of Cape Town offered a free make-up service for a number of her fellow graduates for example. She also made a powerful statement during her ceremony in tribute to Winnie Madikizela Mandela. It was a poignant moment as the country mourns Mam' Winnie – a colossal figure for feminism and the resistance against apartheid and patriarchal oppression. Especially those who love her and respect a legacy that has seen her unfairly demonised in the press. It’s imperative that we see more black women not only graduate, but more black women in decision making positions where our voices matter. Poet Lebo Mashile says western media’s depiction of Winnie should be a lesson to black women to be the custodians of their own memory. “Through racist and sexist eyes we will either be monsters or invisible,” she says. For Mbatha, the importance of seeing black women graduate is about black women being in charge of their own narrative. “Historically and predominantly women have always been marginalised when it comes to occupying spaces of power. "It’s imperative that we see more black women not only graduate, but more black women in decision making positions where our voices matter. "Hearing the number of distinctions awarded to black girls at our ceremony was validating. It’s also incredible to see women who have been advocates for us to be in those spaces like the new Vice Chancellor of UCT, Professor Mamokgethi Phakeng. "The time is now for us to control our narrative and be each other’s safe spaces,” she says. Graduating is empowering and it’s a celebration. The experience of a young black woman is unique... That you can get into these sorts of institutions puts a whole different pressure to complete what you started with a lot of odds against you. “Having recently graduated I feel confident, proud of my achievement and empowered. I feel like a champion,” says Tshegofatso Mokgosi, a Communications Science graduate. It’s a celebration because graduating is a milestone that’s hard earned for some. #FeesMustFall comes from the reality of the systematic exclusion of black people from high education institutions and this something that a lot of young black students carry. Naledi Sibisi had to battle clinical depression and outstanding fees to finally get her BA degree in Humanities majoring in English Language & Literature, Media & Writing and Gender Studies. “The experience of a young black woman is unique. Black women are the most marginalised in society. That you can get into these sorts of institutions puts a whole different pressure to complete what you started with a lot of odds against you. "My depression was one of the biggest battles I had to deal with. My fees were paid literally a week before graduation. But to have started and ended this journey with black women supporting and carrying me was a beautiful affirmation,” Naledi says. The representation and visibility of black women in successful roles is important to Pontsho Pilane, a journalist with a degree and honours in Media Studies. Currently reading for her master’s degree in Journalism and Media studies, her honours research focused on the representation of black women in South African magazines. “The importance of having representation of black women, not just in magazines, but on television, social media or in politics is that it normalises their existence. "When more black women are represented in different spheres of life, there isn’t a single story of black womanhood,” she says. Author and new Dean of Research at the University of Fort Hare, Professor, Phumla Dineo Gqola says the energising surge in the portrayal of black women graduating is an expression of something people know is true, but that the eye is hungry for. “It’s a positive, affirming, celebratory and defiant image. But defiant on behalf of the black woman,” she says. “It’s so counterintuitive in a society that says there’s always something wrong with black women, whether you’re Zodwa Wabantu or Winnie Mandela. It’s very important because it’s young black women speaking for themselves and framing the narrative. 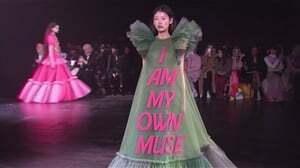 It resonates because it speaks so powerfully to the erasure of black women’s achievements and to the possibilities of what black women can create for themselves,” Gqola says. "An aunt to me... this is what I will always remember about Mama Winnie Madikizela-Mandela"